As part of the "JUST DO WHAT'S RIGHT!" 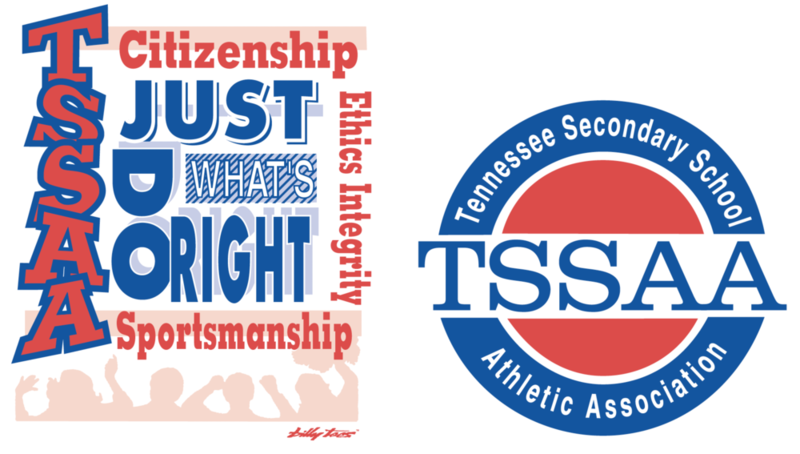 program, TSSAA recognizes member schools that have made the effort to remind their athletic family that there is a particular code of conduct, a particular level of expected behavior, and a way to act that is proper if one wishes to be a part of an athletic contest, regardless of how they participate. "JUST DO WHAT'S RIGHT!" focuses on the foundation of what we hope all participants will do which is represent their family, school, and community in a positive manner. Those schools that received no reported unsportsmanlike conduct incidents during the 2017-18 season have received a certificate highlighting the "JUST DO WHAT'S RIGHT!" logo and this effort. The TSSAA is specifically recognizing proper sportsmanship at athletic contests, and understands that the athletic contests are a small, but important part of our educational program. Local officials associations were asked to nominate schools that they service which have displayed an overall positive effort to teach, expect, and demand a positive atmosphere of sportsmanship at their particular contests. Member schools were also asked to nominate individuals or schools for special recognition for going the extra mile to do what's right. Nominations have also come from representatives of the Tennessee Observers Program for Sports. The TOPS observers have shared the positive efforts that have been recognized at athletic contests across the state. From these nominees and the schools that have received no reported unsportsmanlike conduct during the previous school year, 27 schools have been selected to receive the A.F. Bridges Award at the divisional level. Three Class A, three Class AA, and three Class AAA schools in each grand division have been recognized for a total of nine schools in each division and 27 schools overall. The nominees for Class AA for the grand division of West TN is Ripley High School, Craigmont High School, and Hutchison School. These schools will be presented "JUST DO WHAT'S RIGHT!" recognition banners at the regional meetings in each grand division of the state during November. The TSSAA Board of Control has earmarked $27,000 toward a scholarship fund to recognize outstanding student athletes from the A. F. Bridges Divisional Finalists. Each one of these schools will receive $1,000 for their athletic program. Of these 27 divisional recipients, one school in each class will receive Tennessee's top award for overall outstanding effort in its division. These schools will be presented the A.F. BRIDGES STATE AWARD OF EXCELLENCE. This is the highest award that can be bestowed upon a school to honor its overall efforts to promote citizenship and sportsmanship at school, and at athletic contests. The A.F. Bridges Awards is given in recognition of the ideals of ethics and integrity in the teaching and promotion of citizenship and sportsmanship.